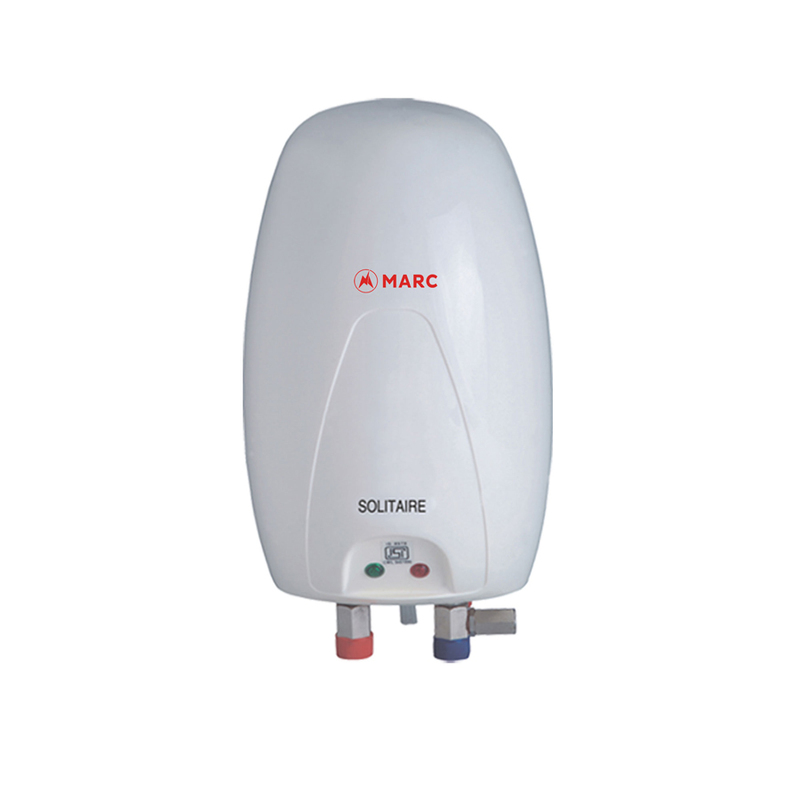 Marc 3 Litre Solitaire Instant Water Heater is an ISI marked and comes with copper heating element and Stainless steel tank, Ideal for kitchens and Bathrooms as it provide continuous hot water. It's Automatic Thermal cutout protects you from overheating. 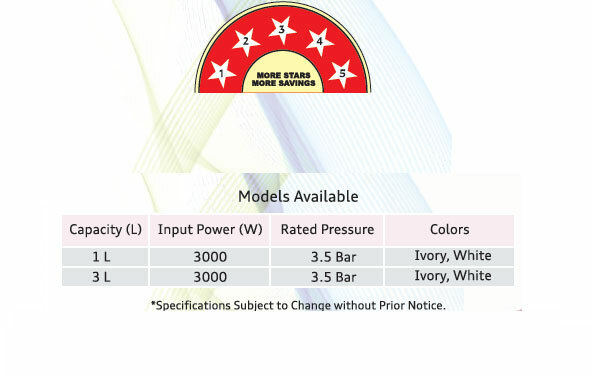 Moreover this product is certified with BEE 5 star thus ensures less electricity consumption and thus saves your money by reducing electricity cost.